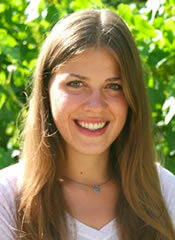 Claremont, Calif. (May 17, 2013)— Pitzer College student Samantha Morse ’14 has been awarded a US Department of State Critical Language Scholarship (CLS) to study Arabic in Oman this summer. The CLS Program aims to expand the number of Americans studying and mastering critical foreign languages. A double major in English and world literature and Spanish, Morse is one of approximately 610 US undergraduate and graduate students who received a 2013 scholarship from the US Department of State. CLS participants will spend seven to 10 weeks in intensive language institutes in one of 13 countries where they will study Arabic, Azerbaijani, Bangla, Chinese, Hindi, Korean, Indonesian, Japanese, Persian, Punjabi, Russian, Turkish or Urdu. Selected finalists for the 2013 CLS Program hail from all 50 states, Puerto Rico and the District of Columbia and represent more than 200 institutions of higher education from across the US. The program is administered by American Councils for International Education and Ohio State University/Ohio University.